Sacco Bambino VIP List Newsletter! directed to your download page. Enjoy your download free baby shower invitations VIP May 2011! 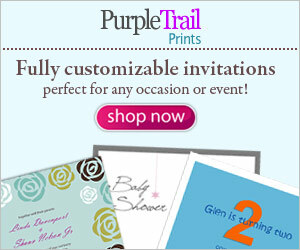 Share our website right now with your friends and let them in on our free baby shower invitations! Tell them how easy it is to subscribe to our Sacco Bambino™ VIP List Newsletter. Just click on the link "Enjoy this page? Please pay it forward. Here's how..." at the bottom of this page ... It's Easy!